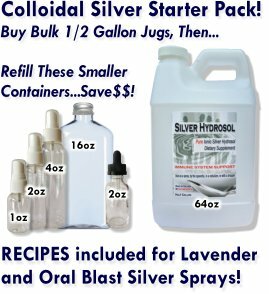 Colloidal Silver is for me! Comments for Colloidal Silver is for me! Thanks Margaret! That's great news! Keep us in mind for our other products? And let us know if you have any questions? We just added Silver Conductive Socks to our product line! While they are made for TENS machines, we recommend them for sleeping and for wearing all day long if possible. Users report better sleep and a sense of calm during the day because of the "grounding" the silver conductive fabric provides across the bottom of the feet. Thanks again and please keep in touch!